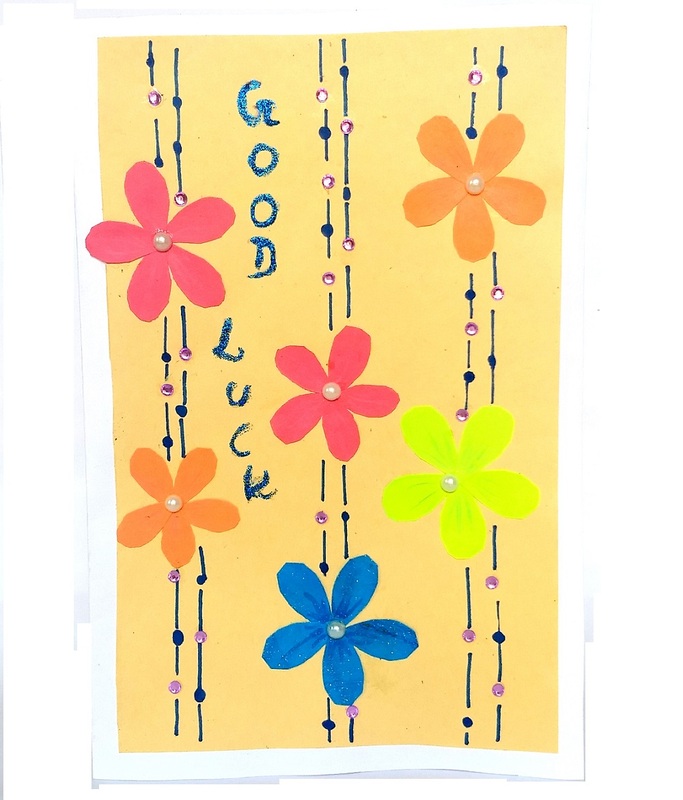 About Product : A Handmade personalised flowery Good Luck Card with a handwritten message. It would add that personal touch to the wishes to your loved one, who is appearing for the examination. This card is intricately made by handmade paper craft with special effect to the flower with pearl beads. The card background is light yellow and inside page is white in colour. Be yourself, be different and let others feel delighted with this personalised gift which speaks a lot about unique gifting ideas!